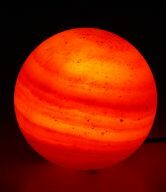 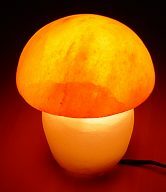 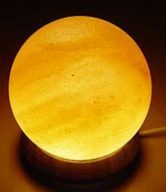 Our elegant hand crafted lamps is not only original and beautiful, they are also beneficial to your health. 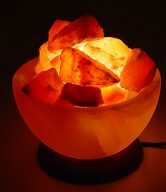 Each one-of-a-kind lamp is hand-chiseled to preserve its primordial energy from a solid block of crystal salt, hand-excavated from millions-year-old pristine sea beds at the foothills of the Himalayan Mountains. 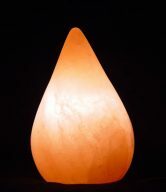 Available in several shapes and sizes, the beautiful glow from our Rock Salt Lamps will bring a tranquil ambience to your home. 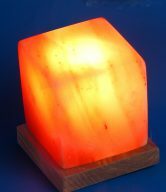 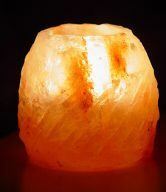 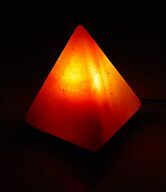 Rock Salt lamps are best placed near televisions and computers, around smokers, in offices with air-conditioning, in fact anywhere you want to restore or preserve the natural air quality, coming in several popular shapes that will transform any space and enhance your visual experience.